In the constructor of our WPF app the code reads two important sources, Body frame, Color frame and Width and Height from the Depth Sensor. It then opens both readers to start receiving frames. The MainWindow.xaml contains a Grid with two Image elements for Color and Body data. The color frame arrived event handler acquires a frame and validates it before converting it to Byte Array and writes to WriteableBitmap which is used by Image element in our Xaml to display color stream. The reader frame arrived event handler is the most interesting one, the code uses a DrawingContext to draw a rectangle, our Body frame data will be written within this rectangle. 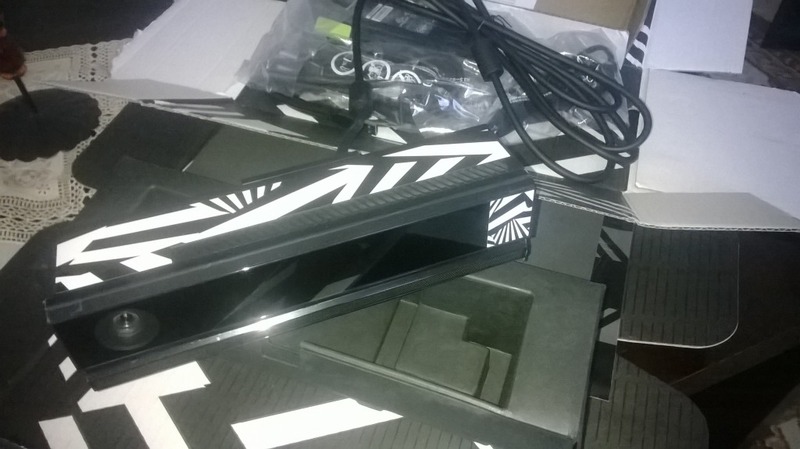 We then get the Body data from the Kinect sensor. Because the Kinect can detect up to 6 bodies at the same time, the code loops through each body object to check if it can read body joints information from the sensor before it can do something useful with it. 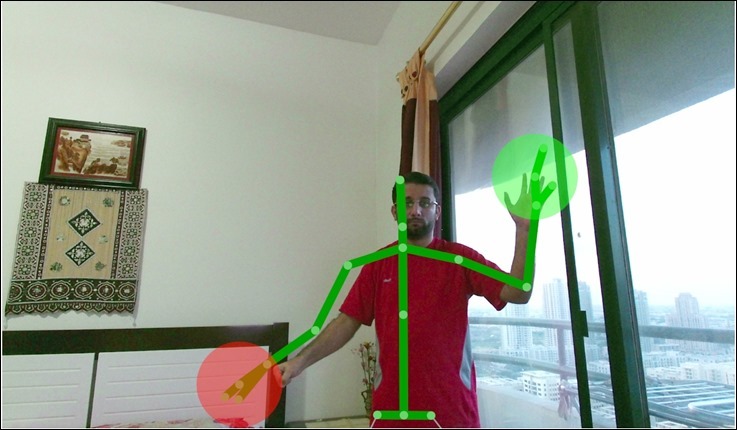 If the Kinect is able to track a body it loops through each Joint and uses a CoordinateMapper to give us X and Y coordinates for each joint which it then uses to draw Body and Hand joints. Note that I cheat a little bit on line 36 to fix the vertical position of my drawing by subtracting 80px from the Height. 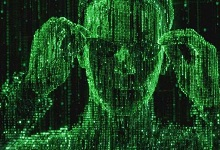 // The first time GetAndRefreshBodyData is called, Kinect will allocate each Body in the array. // those body objects will be re-used. That’s all I had to do to draw body joints over a camera stream from the Kinect sensor.